Singer Freddie Mercury, guitarist Brian May, drummer Roger Taylor and bass guitarist John Deacon take the music world by storm when they form the rock 'n' roll band Queen in 1970. Hit songs become instant classics. When Mercury's increasingly wild lifestyle starts to spiral out of control, Queen soon faces its greatest challenge yet â€“ finding a way to keep the band together amid the success and excess. If _Bohemian Rhapsody_ is so great, why was the best part of it Tom Hollander saying a single word? Don't get me wrong, Rami Malek deserves props for the role, that much is true (less perhaps than he's been getting, but still, props). But beyond that, _Bohemian Rhapsody_ is bland, choppy, arguably even offensive. 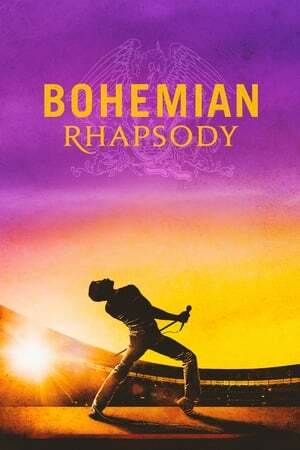 There **might** be some value in one of those sing-along type deals if you can get enough Queen fans together for one, but I'll never know, because I have no interest in re-watching this.